Nintendo is on a serious upswing. The Wii U was a pretty big failure, but they have really managed to turn things around over the last year. The Nintendo Switch has surpassed expectations and they found themselves a very nice way to recycle their old designs with their "classic" consoles. 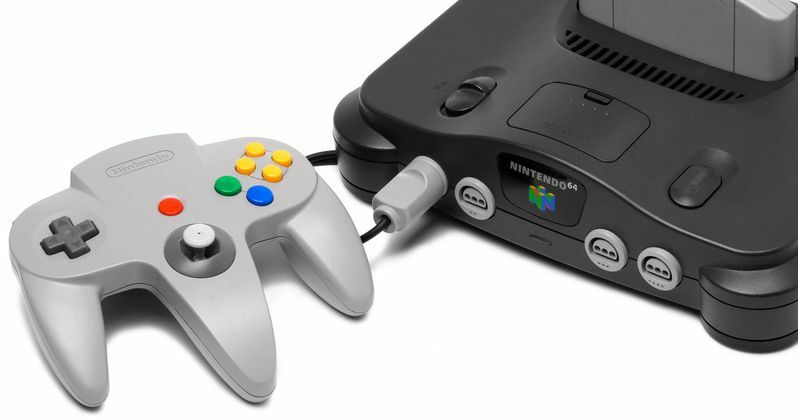 Could a Nintendo 64 be the next console to get a classic edition? Signs point to yes. As reported by Nintendo Wire, Nintendo recently filed a trademark with the European Union Intellectual Property Office for a rather crude but very disntinctive drawing of a Nintendo 64 controller. This may not seem like much, but it indicates that a Nintendo 64 classic edition is probably in the works. These crude, silhouette drawings of controllers appear on Nintendo's packaging for the respective product. The NES Classic has a similar drawing of the NES controller, so that is why this appears to be the first sign that Nintendo is making what will probably be a very smart move. Nintendo released the NES Classic Edition late last year and was sold out virtually everywhere upon release. Sadly, Nintendo ended production of them early this year, so if you didn't get your hands on one, it's going to be a pricey endeavor now. Amazon currently has them listed for $252, which is much higher than the original list price. Nintendo also recently announced an SNES Classic Edition, which is set for release on September 29 and will retail for $80. Each console comes loaded with tons of games right on it, so they are very desirable for those who enjoy classic Nintendo games. There isn't much information to go on, so it is tough to say what would be included on the Nintendo 64 Classic Edition. Though, there are a lot of very beloved games for the system and we can safely assume Star Fox 64 and Mario Kart would wind up on there. As for the price? We can guess it would probably retail for less than $100, as has been the case with both the NES Classic Edition and the SNES Classic Edition. The Nintendo 64 debuted in 1996 and remains one of the most beloved consoles that the company has ever released. It is also one of their best selling consoles, having moved more than 32 million units before being discontinued in 2003. With the console now more than twenty-years-old, there is a lot of Nintendo nostalgia for it and that is something Nintendo could capitalize on in a big way. For now, we are just going to have to wait and see how this shakes out. But Nintendo would probably be guaranteed to turn a nice profit with a Nintendo 64 Classic Edition and there is no reason for them not to do it. You can check out the sketch of the N64 controller that was patented for yourself below.